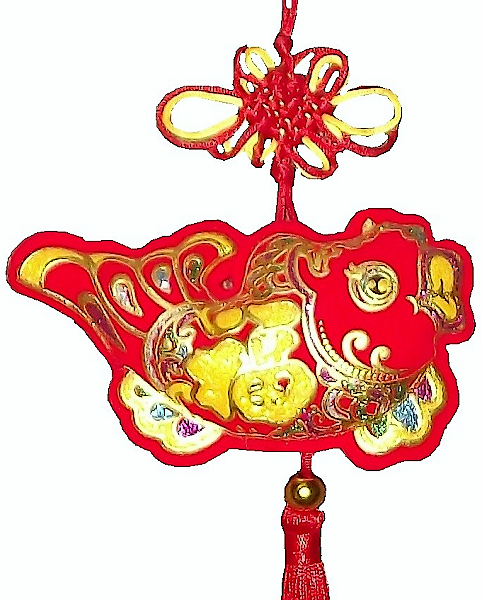 Large Chinese knot with a single Carp symbolising good luck and an abundance of wealth. This impressive lucky Chinese knotting is hand strung in mainly red and gold colours symbolising wealth acquisition. An attractive and decorative knotting with a long red tassel perfect to use as part of your Chinese new year and festival celebrations.